The much awaited 3D teaser of ‘2point0’ starring Rajnikanth and Akshay Kumar will be releasing on September 13, 2018. 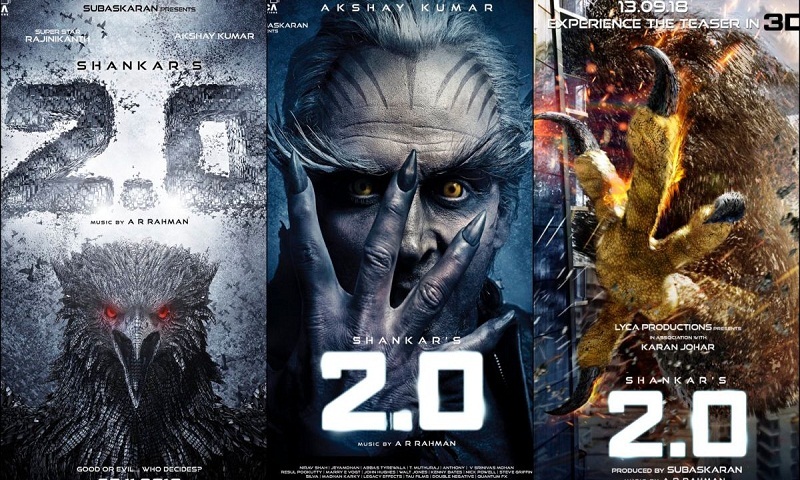 The film is a sequel to the 2010 Tamil film ‘Enthiran’, which was also released in Hindi as ‘Robot’. It will see Rajnikanth reprising the roles of Dr Vaseegaran and Chitti. Marking his debut in the Tamil film industry, Akshay Kumar will be portraying the role of the antagonist, Dr Richard. The new installment will also feature Amy Jackson and Adil Hussain in pivotal roles. This science-fiction action thriller is touted to be one of the most expensive Indian films to be made till date. Directed by S Shankar, the film is slated to release on 29 November 2018.